So first of all, I'd like to say that remember that your looks and body aren't everything. They're just the house for your soul. It's on what's inside that counts. But, wouldn't it be nice to be able to make the outside reflect the inside just a little bit? 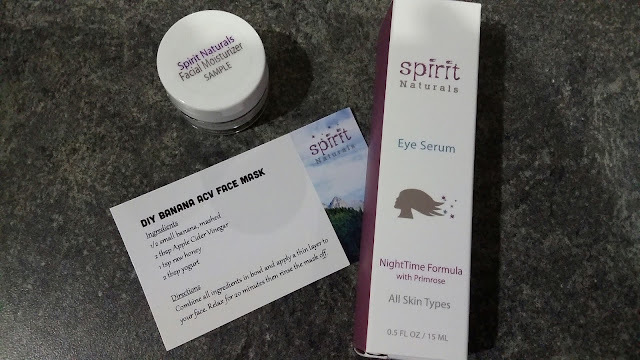 I wanted to LOVE this Spirit Naturals eye serum from the moment it showed up at my house. It arrived in a little plastic travel bag and it had an extra sample of facial moisturizer to try. It also had a business card that had a recipe for a DIY face mask and a discount code for a future purchase. You can tell that this company has put thought into their company. They're not just making a product to sell. The Spirit Naturals Eye Serum is 100% Paraben Free, Dye Free, Cruelty Free, Gluten Free and Made in the USA. It contains ingredients like Organic Aloe Juice, Organic Jojoba oil, Vitamin E, Organic Shea Butter, Organic White Tea, Lavender Essential oil and more natural ingredients. 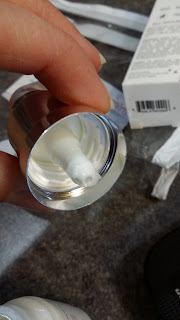 I've been accidentally calling this an "eye cream" in some of my social posts because to me it seems like more than just a serum. Most serums I've been trying have been thin liquids that are transparent. This looks more like a lotion. It glides on like silk and has a faint lavender smell from the lavender essential oil. It feels a little tiny bit like it tingles when I put it on. The serum also has Evening Primrose Oil. You can read more about the benefits of Evening Primrose Oil here. It supposedly can help improve the skin's elasticity. I truly don't think there are any miracle workers out there that are going to turn back time on my face. I do think that there are products that can make the most of the skin I have now. This eye serum makes the skin around my eyes softer and I might have noticed a little improvement in the dark circles under my eyes. As I said earlier, it goes on like silk. 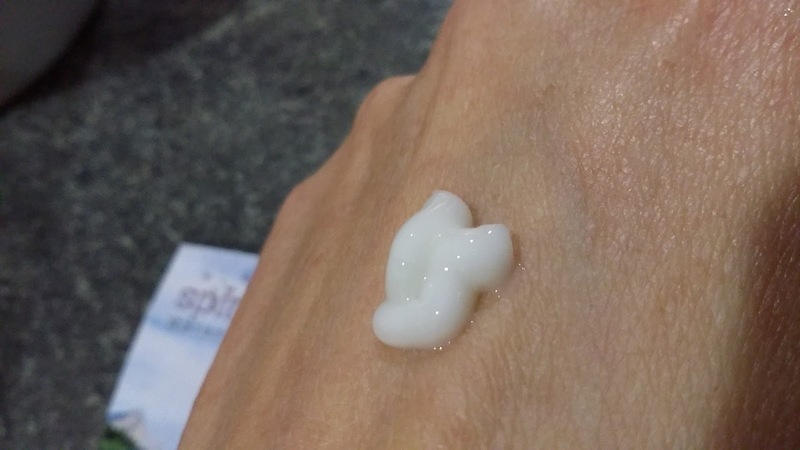 This serum is so smooth and easy to put on. It hasn't caused me any irritation. It plumps the skin around my eyes and helps the fine lines seem less visible. Have you ever noticed how difficult it is to get a picture of your eye area? I did the best I could to show you guys! Now, for the part that wasn't so great~~the bottle. For some reason, I had a difficult time with the pump top. Since it's a pump, I assume that there might be some kind of tube or straw that's supposed to draw the serum up into the pump? My pump was squirting erratically and then just stopped pumping altogether. I took the pump top off and it didn't look like there was any straw. I don't know if it fell out?? 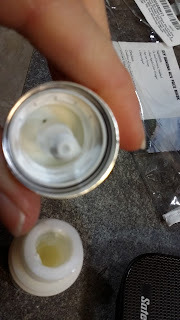 From that point on, I just started storing the bottle upside down and that way there was serum in the pump and it was able to be pumped out when I needed it. "it's an airless pump. Sometimes it has to be reprimed. type priming airless pump into google or youtube to see how to do it. ", so I'll have to check sometime! 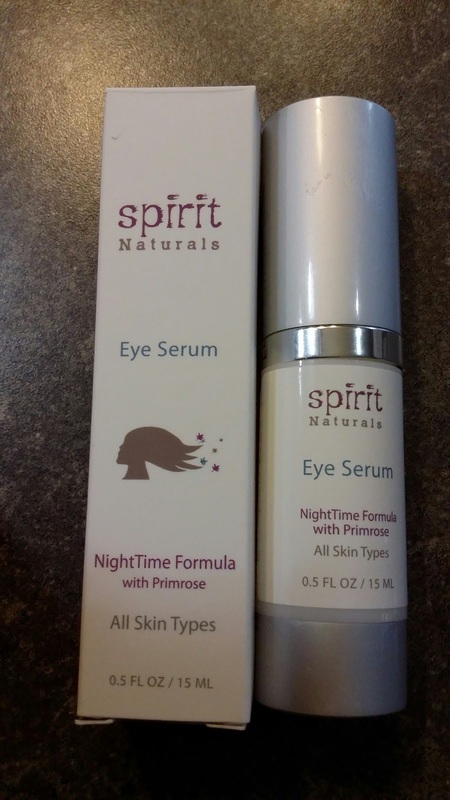 So, for the Spirit Naturals Eye Serum, I give it a rave review! I love that it can help improve the appearance around my eyes in a natural way.